NEW! Beautiful Mountain Lodge in Silverthorne. Warm and Inviting, Just Across the Railroad Tracks from the Tubing Hill! Subscribe to our newsletter and keep up to date on vacation rentals & special deals in North & South Carolina. Mount Cumulus 11A - 2 Br condo with private hot tub, Marys Lake and mountain views! Comanche Peak 39 - 2 Br condo with 2 fireplaces, Marys Lake and mountain views! How exciting! You've found Colorado Vacation Homes, the best No Fee Booking site in Colorado. Now, your next step is to choose your perfect Colorado getaway. Search from our wide selection of Colorado Cabins, Cottages, Carriage Houses and more. What is the benefit? 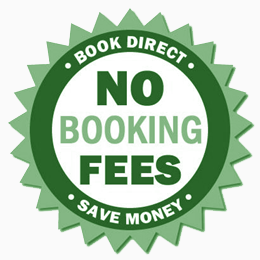 You will not run into any booking fees on this site! That's right, simply choose dates, look at rates and contact the owner direct. What's best is that with direct owner contact you can ask any question and get the answer. You have total control unlike most booking sites that only let you use a message feature that blocks phone numbers and web addresses. Using covacationhomes.com allows the owner and guest more contraol over who, when and what. Every corner of Colorado is covered here. Make sure to use filters when searching so you can choose what type of home, what city, pets, and other item that might be of interest to you. Our site also gives you some great resources for protecting yourself like travel insurance and how to pay for you Breckenridge cabin rental for example. Make certain you also use the Facebook groups found on our City Guide Pages, they will help you to talk to other guests and owners and ask questions about the city you are planning to visit! We have a wide variety of vacation rental homes to suit your taste and budget. From mountain town, lakefront, golf course, luxury cabins to lodo Denver lofts. 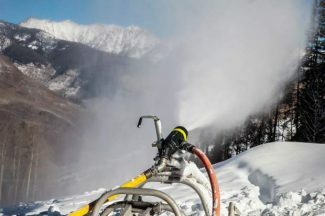 We offer short term and seasonal Colorado rentals. So many differnt types of homes are available to you from Condos, cabins, carriage houses to Mountain lookout villas. From Downtown lofts to suburban homes. Also some amazing benefits like ski-in, ski-out, home theaters, heated pools and hot tubs, saunas, fireplaces, games rooms, workout rooms and more. Some of our Colorado Vacation Homes are also pet-friendly, so bring along all your family members (even the ones with four legs) to relax. Not sure where you want to visit? Use our Colorado Vacation Homes Destination Guides for travel ideas, descriptions of the city you will visit, maps, things to do, local information and access to our Facebook groups. Save up to 20% off your entire reservation! We do not take any payment from the guest... ever! . Cut out the middleman. An Owner is invested in ensuring your stay is enjoyable and is available to answer any questions you may have. Need more help? Check out our Traveler FAQ's here. All of our owners are vetted and verified to make sure they own the property and are who they say they are, we are in phone contact with all of them and will not list a home unless the proprty check out from our system of verifications. We are searching for Owners who have a passion for their homes and have a passion for communicating directly with guests. Benefit from paying fewer fees, get more traffic, control your own policies, provide guests with open communication, network with fellow owners for support, and resources. We offer a subscription payment plan we do not ever take a fee or commission from our clients . Our Facebook group works together to refer guests to each other. SAY NO TO RBO and other booking sites who do not allow direct communication before a booking. Use us to ensure complete vetting of a potential guest. Your listing subscription offers you free membership to our Owners Only Forum. Ask a question, share referrals, and resources. Quickly get the answers you need. You're not alone! We market to a highly targeted audience of travelers who are interested in visiting Colorado. These guests are interested in working directly with the owner. We provide that service to you worry-free. Enjoy the benefits of utilizing our professional services to help you succeed.